The days leading up to my 21st birthday, I was researching tattoo parlours in Singapore. I was doing it in secret, on my laptop in the middle of a particularly boring lecture. It was the only lecture that I took alone, and I didn’t have to worry about my friends looking over at my screen and discovering my plans. I had told only 3 people about the tattoo I wanted to get. Their reactions weren’t particularly encouraging. But while I had only begun telling people in the month leading up to my 21st birthday, I had been thinking about it for years. Three, in fact. It was an idea I had toyed with for a long time, drawing across my skin with an eyeliner pencil and taking pictures on my phone to see what it would look like. I finally decided on a design a month or so after my 19th birthday — a perfect circle across my ribcage — to represent the wholeness that I wanted to pursue in everything I did. 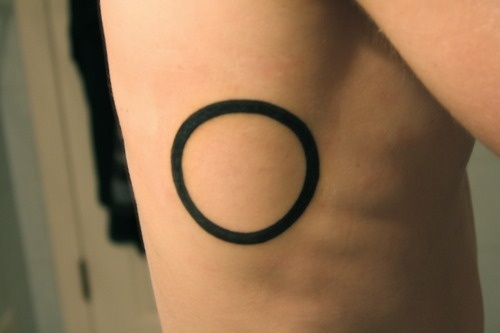 The circle represented every completed project, the complete family I one day hoped to have, and completeness in myself. I spent the nest two years trying to poke holes in the idea. The circle meant zero in an Asian context, something that didn’t bother me much. My skin might sag and distort the circle, an after effect of age that I found poignant and interesting. 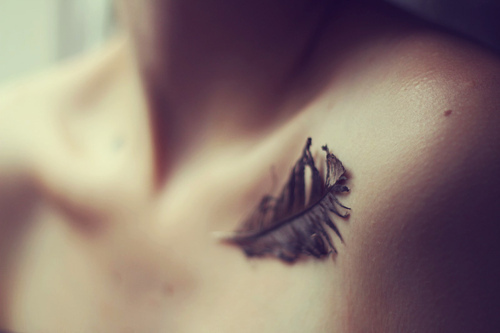 I felt like I was etching poetry onto my skin, and the concept of a lifetime terrified and excited me. I joked about it with friends and acquaintances, none of whom took me seriously but humoured me enough to help me try to find something wrong in the plan that I wouldn’t be able to live with. I shot down every problem with ease. In private, I looked up videos, watched real life tattoos being made, from long, coloured ones that stretched around a limb, to tiny ones on the tip of a finger. I drew endless circles around my body with various-sized pens to see where and what size worked best. I finally found a place, and went down personally to check it out. Its walls were covered with incredible Japanese art, and they had large books of every possible tattoo imaginable, from cheesy tribal tattoos to pin-up ladies with big bosoms. I spoke nervously to the person behind the desk with a large black nosering, who was very nice and accommodating, and could easily tell that it was my first tattoo. I left my design behind with her — a true-to-size image that I had saved in a thumbdrive — and made an appointment. The day of my appointment, I decided to go with my sister, one of my biggest supporters. 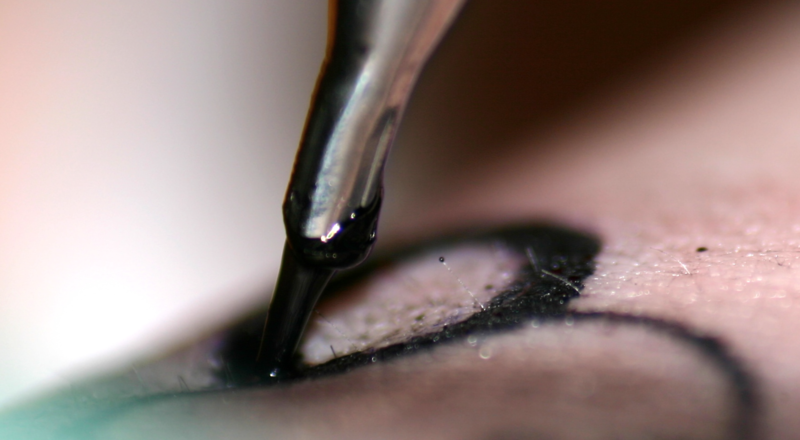 She paid for the tattoo — a whopping $150 — a price I was happy to pay as an investment for a trustworthy artist. She told me it was a birthday present; it was possibly the best birthday present I received that year. My tattoo artist was a silent, burly man, with greening tattoos all across his arms and hands. He checked my design with me by pasting a stencil of it across my ribs, asking often to see if I was okay with the size (I was) and how it was placed (I was). Then he got me to sit on a flat bed, cleaned out the area, and got started. I was so nervous that I started sweating quite a bit. I could hear the clinking of metal, and later the sound of the needle — a low buzzing sound that I had only ever heard outside of sleazy tattoo parlours. I leaned back and tried to breathe — I could now feel the dull ache against my skin — distracting myself with the fishtanks that lined the wall beside my head. I winced. I couldn’t feel the needle itself, but a sharp ache seemed to cover the whole area and made it feel like my skin was on fire. I looked down; the tattoo artist was done with the outline and was now shading around the line to thicken it. The shading was the worst: I could feel the sweat pool in my palms, but I kept looking at the shrimp, willing myself to make out each scale on its back, count the number of legs it had, the size of its little beady eyes. I looked down, and there it was, a perfect circle across my side, red around the rims and threatening to swell. He put a gauze and plaster over it, and I was given a tube of moisturiser. It would scab after a while, he warned, and I should moisturize twice daily. Use mild antiseptic soap, and best not to go for a swim. The whole process took about 15 minutes. I tried to avoid looking at the massive sweat stains I left on the black leather seat. Leaving the parlour, I felt light-headed and happy. I could hardly feel the pain anymore, but in its place, there was an intense adrenaline high that to this day, remains unmatched. Better than alcohol. Better than weed. This must be why people can’t stop getting tattoos, I thought to myself. “Man, now I feel like getting one,” my sister said, as we headed for lunch. The healing process was annoying. 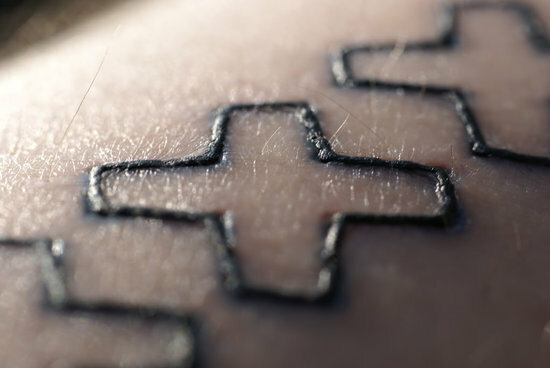 The tattoo began to scab the very next day, and looked a little gross — it was as bad as it was itchy. I tried to keep myself from scratching by pressing my palm against it, willing it to stop itching, but I still broke the scab, and ended up with a few lines that I had to go back to touch up (which thankfully, was free). The first shower I took after removing the gauze, I caught a glimpse of myself in the mirror, and my eyes immediately landed on the circle on my side. I experienced a moment of panic when I realised that it was there permanently, a mark that would never be erased. The lack of choice scared me, and I instinctively brought my hand over the mark. Then I thought about the meaning behind the mark, and every argument I had with myself. I remember drawing the circles on my body, like a child playing dress-up. I remember how walking into that tattoo parlour represented a kind of control I had over my life. I made a huge decision, and one that I could never undo. It made me braver, bolder, and more confident than I had ever felt looking at my own body. After all, I was born into my body — I didn’t have a choice about how tall I would be, how big my breasts are, how wide my hips or how fat my feet. But my tattoo reminds me that ultimately, this body is mine — mine to mark, mine to own. I made a choice to mark it with something I liked, and because of that, I like — no, love — my body a little more. Will I regret this tattoo? Maybe. Perhaps way in the future, when I become a different person, when I begin to forget who I was when I was twenty-one, I will forget why I chose this design and hate my former self. But will I regret getting it? Not bloody likely.